graduated in Economics and Business in 1986 from the University of Genoa, and in Law in 1991 from the Department of Law of the University of Genoa. He began his professional experience in 1987 at the law firm Studio Ghiglione e Ghio where he worked till 1992. During this period he specialized in the provision of domestic and international tax advice, focusing on tax management for corporations, on corporate reorganization (both domestic and international), and on international tax planning. In 1992 he joined the Milanese branch of the international law firm Baker & McKenzie, where he worked until 1994 as a Senior Associate. In 1994, he worked as a legal consultant in the Republic of Angola for the Italian Minister of Foreign Affairs. Since 1992, he has also been an Advisor to the Tribunal of Genoa for economic and fiscal matters. In 1995, he was a founding partner of the law form Mazzeschi, Novelli & Porcari in 1995. 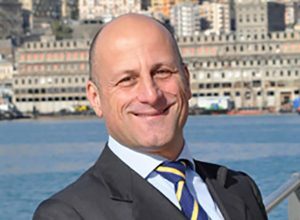 In addition, since 1989, he has been a recognised as both a Tax Consultant and a Chartered Accountant (“dottore commercialista”), registered with the Genoa Association since 1989,. He has also been a recognised Chartered Auditor (“revisore contabile”) since 1989. He has been a registered Lawyer with the Bar Association of Genoa since 1994. Practice areas: Mergers and acquisition, corporate and commercial law, tax law, civil litigation, international commercial contracts. Languages: Italian, English, French, Portuguese, Russian. graduated in Law on 19th October, 2007 from the University of Genoa, with a thesis in Labour Law, “The Security of Employment on Ships and in Port” under the guidance of Professor Clara Enrico. He began his legal apprenticeship at Studio Legale Novelli in Genoa, concentrating primarily on Civil Law and Labour Law, He focused on the strengthening of legal questions, the research of statutes, and the drafting of legal opinions in these areas of law. He then strengthened his training in Company and Contract Law. He continues to work for Studio Legale Novelli Novelli Law Office he provides counsel in legal assistance in Civil Law Contract Law, Debt Recovery, Company Law and Road Traffic Accidents..
Born in Genoa on the 5th January 1988, in October 2011, he earned his degree in law from the University of Genoa, writing his thesis in Criminal Law on “The liability of subsequent corruption in the Judiciary Act” under the guidance of Professor Paolo Pisa. In 2011, he gained the IELTS Certification (International English Language Testing System), and in March 2012 he gained a Master degree in Journalism and Radio-Television Journalism from the Eidos Communication Institute in Rome. Following an initial period of legal apprenticeship at a law firm in Genoa, during which he concentrated on Criminal Law, from October 2012 he initiated work with Studio Legale Novelli. Born in Genoa in 1975, he graduated in Law from the University of Genoa in 1975, having written his thesis on Public Finance and Tax Law: “The Tax Return: Legal Nature, Effects, and Rectificability” under the guidance of Professor Giovanni Marongiu, obtaining the grade 110/110. Between 2005 and 2007, he worked at Studio Cassottana in Genoa, performing research and assistance in court matters relating to private law, with a particular emphasis on contract, commercial and corporate law. He acted as the Ligurian representative for ADUSBEF, the Italian organisation for the protection for consumers of financial services, acting in disputes between consumers and financial institutions in matters of law concerning the financial markets. 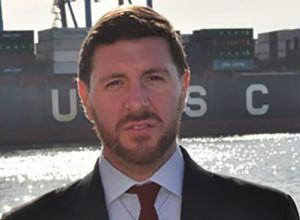 From 2007, he worked until 2011 at the law firm Righetti in both Genoa and Milan, where he provided, in addition to performing research and providing consultancy services in private law, assistance in court matters and legal assistance in matters of Shipping Law, including cases involving international law . 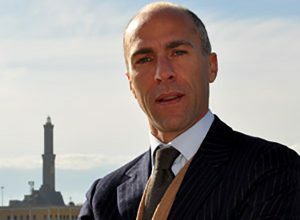 In 2011 he qualified as a mediator, and between 2011 and 2013 he worked at the law firm Rosso & Tirelli in Genoa, providing advice on procedures outside of court in matters of navigation, transport, and provide law, with a particular focus on civil litigation in private and public contracts, as well as in civil law in medical liability and related insurance matters, credit recovery and forced procedures. Since November 2007, he has also provided assistance to the Private Law Department at the Department of Law at the University of Genoa, under the guidance of Professor Donato Carusi and Professor Alessandra Pinori, participating in educational activities and departmental coordination. 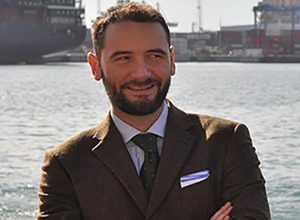 Since 2007, he has also worked with the journal “Diritto Marittimo” (Maritime Law”) under the supervision of Professor Francesco Berlingieri, preparing comments and case notes on matters relating to navigation and transport law. Since March 2007, he has also collaborated with the publisher Ipsoa, working as an author of notes on cases concerning civil liability in international private law and navigation. Graduated in law from the Catholic University of Milan in 1993, and was admitted to the Bar Association of Genoa in 2000. 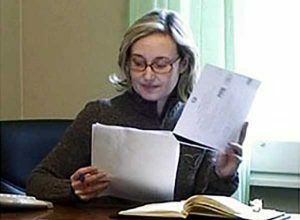 In 1993, she achieved the Pst Graduate qualification in International and European Community Law in Luxembourg, and completed the Postgraduate course in Commercial Law at Columbia University of New York in 1993. She joined Studio Legale Novelli in 2006, and her legal practice concentrates primarily on Maritime Law and she assiss clients with shipbuilding contracts, safety inspections, and maritime claims, as well as possessing etensive experience in civil, comercial and transport law.